Are you between the ages of 6 and 18 years of age? Do you like to cook? Even if you’ve never cooked, do you want to give it a try? 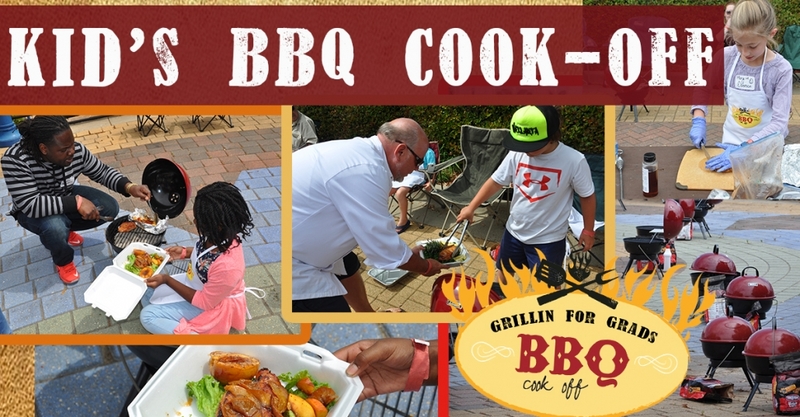 If so, join us for a KIDS’ ONLY barbeque cooking contest. We will provide the pit, the charcoal, the competition meat, and the ingredients for a fun afternoon! The first 40 registered children will be eligible to cook. Each child must have an adult supervising them at all times. The deadline to register is April 20th. Your immediate confirmation of acceptance to compete will be sent via email or the address you provide. Rules and regulations are provided on the following page. Awards will be presented immediately after judging is complete. Grand prize winners in each age group will receive 1st place trophies. Runner-up winners in each age group will receive 2nd place trophies. Each contestant will take home their grill and apron. will supply the contestant with an apron; two-pork loin chops 1” thick and your own grill to take home. competition and all activities associated with the ARK-LA-TEX-AMBASSADORS Grillin’ for Grads. times or they will be disqualified. 4. Handicapped children will be allowed to do as much as they are able with some help from the parent. that fits in the turn in box.